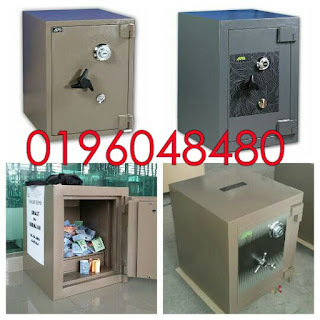 Chubbsafes Record Protection Filing Cabinet provide fire protection for any paper based document in the event of a severe fire. It is tested and certified to the Underwriters Laboratories test standard UL 72 Class 350 (Fire Endurance Test) for paper protection against fire. Body - The Body has an overall thickness of 57mm insulated with Chubbsafes patended PCDE fire resistant material. Proofing materials used are also asbestos-free, reliable, stable, well aerated and will not deteriorate with age. Drawer - The drawer is constructed with an overall thickness of 56mm. The proofing material is identical to the material used in the body of the cabinet. Each drawer is also suspended on full extension rails with bearings for durability and for ease of use. The drawer have been designed to fit most paper hoist and box files. 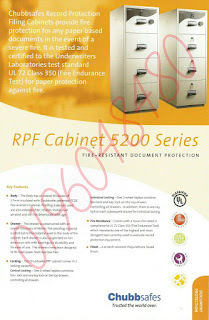 Locking - The Chubbsafes RPF Cabinet comes in 2 locking variants. 1) Central Locking - One 3-wheel keyless combination lock and one key lock on the top drawer; controlling all drawer. 2) Individual Locking - One 3-wheel keyless combination lock and key lock on the top drawer. 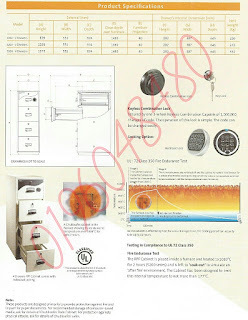 In addition, there is one key lock on each subsequent drawer for individual locking. for paper protection against fire. Body - The Body has an overall thickness of 57mm insulated with Chubbsafes patended PCDE fire resistant material. Proofing materials used are also asbestos-free, reliable, stable, well aerated and will not deteriorate with age. The cabinet to survive the impact from a fall. 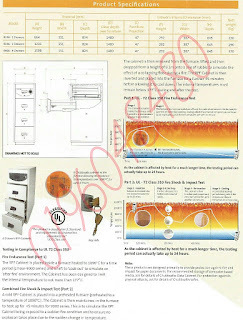 Chubbsafes document cabinets provide efficient fire protection for paper documents. 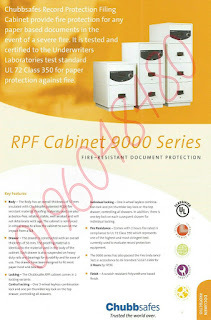 The RPF 9000 series & 5200 series are tested and certified to the Underwriters Laboratories test standard UL 72 Class 350 for paper protection against fire for 120 minutes. Two, three or four drawers are available for both series. The CS 300 series is tested and certified by ECB.S in accordance to EN 1047-1 for up to 120 minutes fire protection of paper documents.